The father brought investigators to the body of 8-month-old King Jay Davila. A missing 8-month-old boy in Texas is dead, officials said Friday. Christopher Davila told police last week that his child, King Jay Davila, was kidnapped from his car in San Antonio. But after sharing surveillance footage of the child's alleged kidnapping, police determined it was the baby's cousin in the video and the "staged" kidnapping was done "to cover up foul play," according to San Antonio Police Chief William McManus. "We have statements from multiple witnesses that lead us to believe that King Jay is deceased," McManus said Thursday. "We charged [Davila and two other family members] with tampering with evidence because we believe that they participated in staging the kidnapping to hide King Jay's body so we couldn't find it to determine what happened to him." Davila led investigators to an open field in San Antonio, where King Jay's body was believed to be hidden in a backpack, police said. On Thursday, Davila, as well as King Jay's grandmother, Beatrice Sampayo, and another family member, Angie Torres, were charged with tampering with evidence in the case. The charge is a third-degree felony. ABC San Antonio affiliate KSAT reported Friday that Davila was playing video games while caring for King Jay, citing details in a new arrest affidavit. King Jay was placed in a car seat on the edge of the bed Christopher was sitting on when the car seat fell over. King Jay, who was not strapped in, ended up with a large bump over his eye, according to KSAT. Hours later, King Jay was dead, KSAT said. (Bexar County Sheriff's Office via AP) Christopher Davila is seen here in an undated photo provided by the Bexar County Sheriff's Office in San Antonio, Texas. 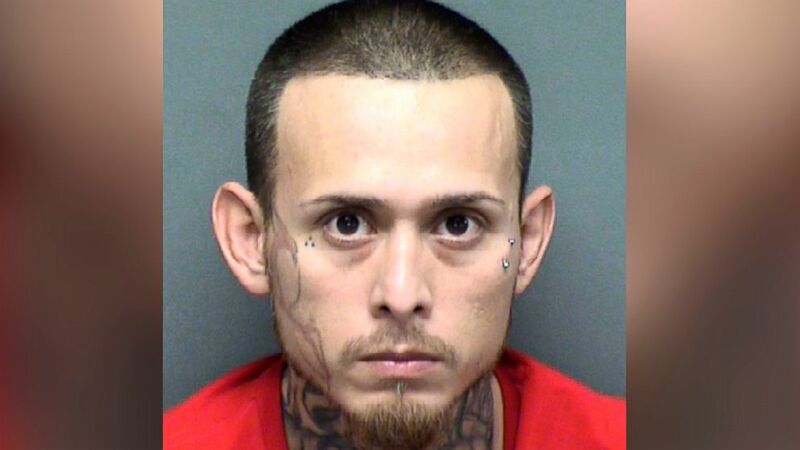 Torres, who police say was the one seen taking Davila's car from a convenience store in the surveillance footage, is also being held on an unrelated aggravated robbery charge, KSAT reported. She is being held on $50,000 bond, according to jail records. 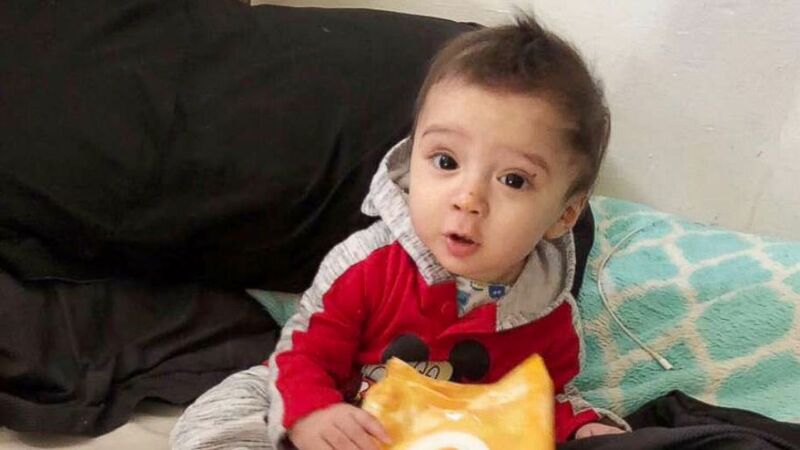 (San Antonio Police Department ) The San Antonio Police Department released this photo as they search for 8-month-old King Jay Davila, believed to be a victim of foul play. Police said the child's mother, Jasmine Gonzales, continues to be under investigation in the case. "Every parent out there, everyone understands, 'How can someone do that to a child?'" McManus told reporters Thursday. "This kidnapping was used as a ruse to cover up what we believe early on was foul play. What other purpose would you fake a kidnapping other than to hide something?" Davila, 34, has a long criminal record, which includes convictions for arson and assault causing bodily injury, The Associated Press reported. It was unclear if Davila, Sampayo and Torres had lawyers. ABC News' Marcus Moore, Emily Shapiro and Alexandra Svokos contributed to this report.